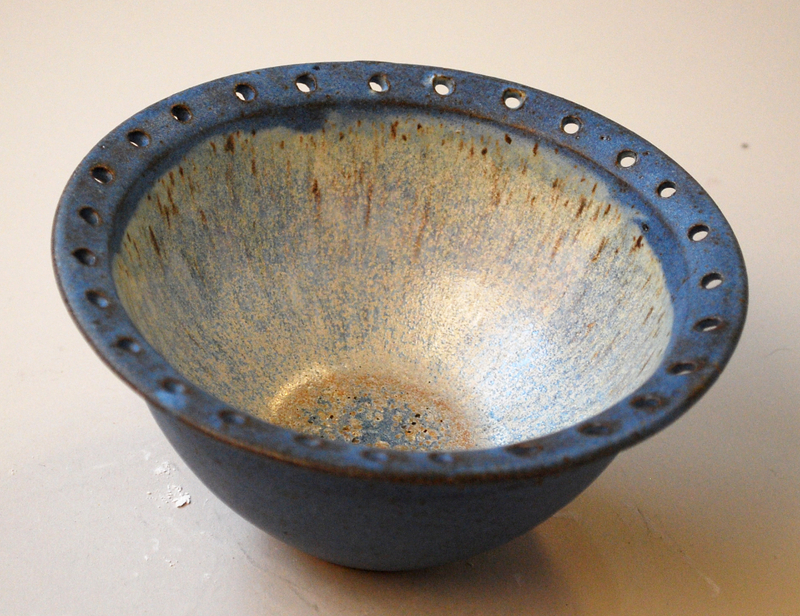 This beautiful blue handmade bowl can hold your earrings on the outer rim and your rings, bracelets, etc. 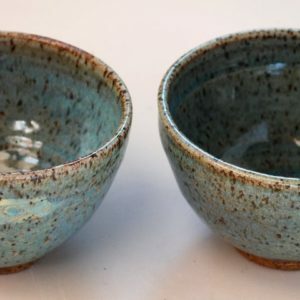 This beautiful handmade ceramic earring bowl can hold your earrings on the outer rim and your rings, bracelets, and earring backings on the inside. 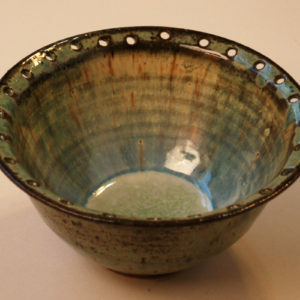 It’s attractive and functional at the same time and can organize and enhance your home. 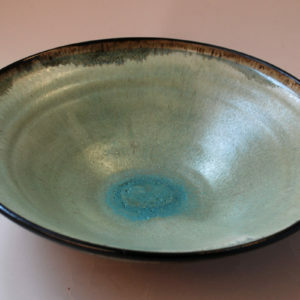 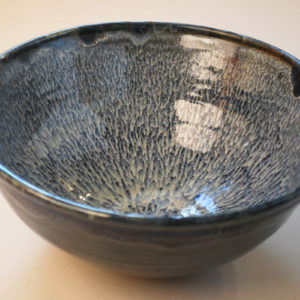 Approximately 6″ wide by 3″ high, this bowl is handmade on the wheel and then holes around the rim are formed to make it into this great way to store your jewelry.